For applying Rapé to yourself you need and Kuripe (Curipé). 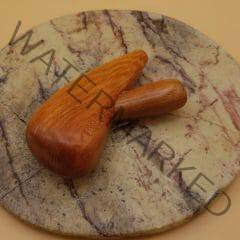 On this page, you will find various types of self-applicators made from bamboo, wood, bone or a combination of them. Made by different artists from various regions of Brazil. 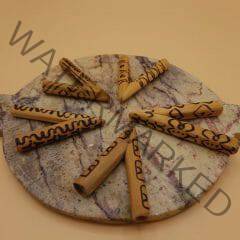 Decorated with line art, pyrography, artists clay. From simple to more exclusive designs. Don’t hesitate to contact me if you need information about a particular piece.